Complement your meeting or conference with local catering options. We have two catering options onsite plus our close proximity to Portage la Prairie offers a wide variety of cuisines. Brews + Bites operates out of the Central Pains RecPlex and offers pizza, snacks and beverages. Alcoholic bevarages and pizza are avaialble downstairs to enjoy while you take up a game of glow bowling at Southport Bowl. Upstairs in the welcome centre, snacks and drinks are also available for purchase. Guests can also enjoy free fruit and coffee during their visit, or to refuel after a work out in the RecPlex fitness area. The Officer’s Mess (Voyageur Place) is available to the public for breakfast, lunch, and supper, and also offers catering services. Full course meals are served and are sure to meet the needs of all Southport guests. The Southport Golf Club is open for the summer months and includes a fully licensed bar and restaurant. This is a great spot for a quick lunch or you can catch the Friday night 9 & Dine deal that offers a great supper and 9 holes for only $25.00! Portage la Prairie is a short 3 km away from Southport and offers a number of catering options that are often available with delivery to Southport. View the list of restaurants in Portage la Prairie here. Looking for a truly unique venue for your next event? Business, personal, indoor or outdoor, our facilities are ideal if you want to get your group together in a beautiful country setting away from the distractions of everyday life. We have plenty of recreation amenities on site for team-building activities or group outings. 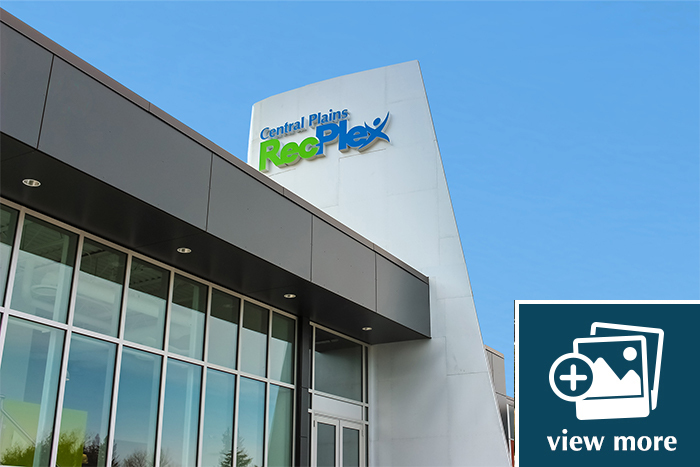 The Central Plains RecPlex features a 9 m rock climbing wall, 110 m indoor track, new fitness area, upgraded gymnasium access, remodeled change rooms and a rentable multi-purpose room, a great addition to any group function. The Welcome Centre features a food kiosk, Brews + Bites, serving pizza, drinks and snacks, as well as an ATM and a 28 child daycare operated by Portage Day Care Centre. The Southport Golf Club is a fun and challenging golf course for every level of golfer. Although there are 9 greens, our extra tee boxes will allow you to experience an 18 hole round of golf. Southport is a great place for a casual round of golf, a company or family tournament, or just a relaxing practice session. 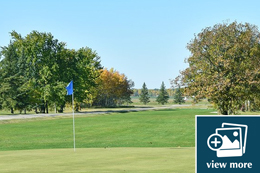 We offer the following facilities: 9 hole golf course, fully licensed clubhouse, fully stocked pro shop, public driving range, golf lessons, and golf club re-gripping and repair. Visit the Southport Golf Club website. Brews + Bites while they bowl. Every summer, Southport hosts a wide variety of activities in our beautiful and versatile outdoor facilities. Whether it’s our two dirt & grass baseball diamonds, 2 tennis courts, our 400m walking/running track, or our soccer field equipped with two full sized nets, we are sure to equip your outdoor summer recreational needs. 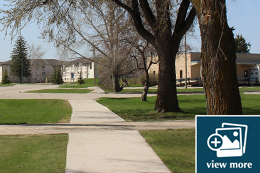 There is also plenty of green space and paved walking paths around the site that will allow you to enjoy the outdoors!